At some point, any UI/UX designer is thinking of getting universal PSD UI Kits for work optimization. Are you one of such professionals? Then, you’re in the right place to start! MasterBundles offers you a set of 3 top-notch UI kits, which includes its bestsellers Kama kit and Shopmate kit together with a vibrant iSocial iOS UI Kit. 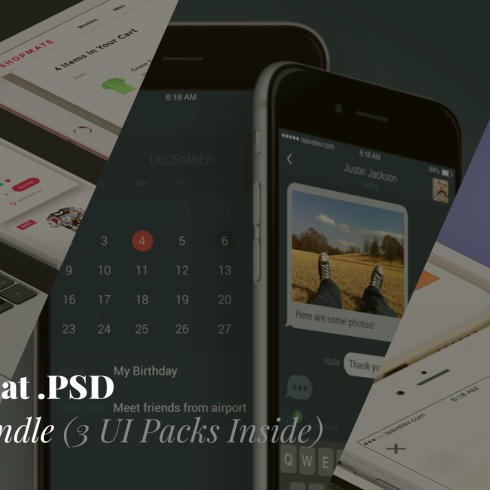 What Will You Get in PSD UI Kits? The download package will pleasantly surprise you with a variety of user interface elements for blogs, webshops, web applications, and widgets. All the three UI kits arrive in full-layered PSD file format editable on PC and Mac. Kama iOS Kit attracts with its stylish neon color scheme. Customizable in Sketch and PhotoShop, this UI kit contains pixel-perfect vector elements assembled in thoroughly layered files. 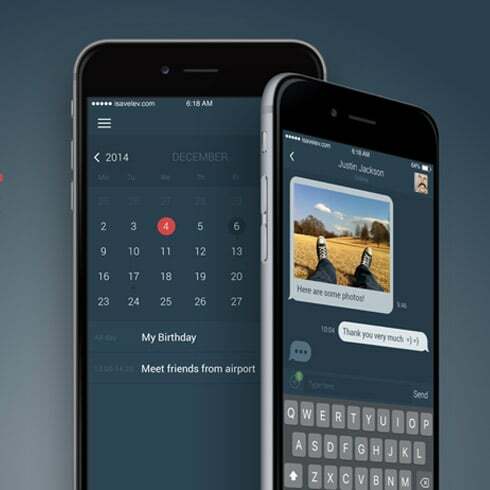 With pre-made 120+ iOS screens, you will create web apps of any complexity. Shopmate kit is an out-of-the-box solution for an eCommerce project. It contains all the needed elements to create an eye-catching online store app. 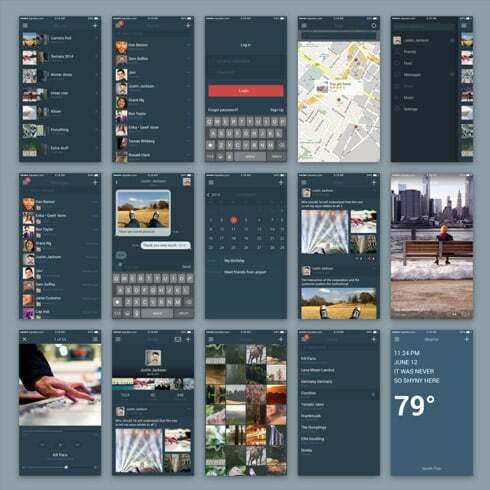 iSocial iOS UI Kit will come in handy when putting together social web apps. Attractively designed user profiles, buttons and more user interface elements will help you create a gorgeous look and feel for your design project. Leave all the doubts behind as the price is extremely attractive. Purchase PSD UI Kits and make a smart investment in your future as a UI/UX designer. Definition of a graphic bundle? If you’re a web graphic designer working on multiple assignments concurrently, you, like no others, see the importance of the whole bunch of design components available at hands. Searching for those components separately, you spend whole lot more cash and time consequently. To obtain all the essential components in one pack, we recommend taking a closer look at graphic package deals. A bundle is actually a collection of components required for graphic design, priced at thousands of dollars, however sold at a bargain price for a very limited time. For what reason are graphic packages profitable? For any design job, you’ll need lots of elements – a few icons, a font, a few illustrations or photos, etc .. If you’d want to buy every one of them on an individual basis it will cost you a lot of money! And so, that’s why veteran designers look for some graphic bundles to purchase. They allow receiving a big bunch of various elements for a very modest price tag. What sorts of graphic packages are there? The selections of components compiled into a graphics package are often categorized according to their purpose or type. There may be deals with icons, infographics, wedding invitation templates, business card templates and mockups, etc. On top of that, you will also find graphic packages designed for Christmas, St. Valentine’s Day, Christmas or St. Valentine’s Day. Ways to spend significantly less bucks on MasterBundles bundles? Are you interested in a 5% discount on any bundle from MasterBundles? Well, it is not that hard. All you have to do is simply share the page with a package on social network (Facebook). Any other deals on MasterBundles.com? Other than graphic design package deals, you’ll find a massive variety of various other deals on MasterBundles.com. The bundles of stock photos, logo templates, patterns, fonts and textures are out there for your use. Furthermore, you may find the full bundles of WordPress themes, courses and ebooks, resume templates, presentations, and various other elements. The watercolor bundle is found to be the prettiest trend in design. Hand crafted by designers on the a piece of paper, the pictures get digitized and added in a package deal as templates for projects. Watercolor components are just ideal for DIY, blogs, quotes, greeting cards, posters and wedding invitations. All images are hi-def and ready to print or use in a digital way. One more package additionally well suited for photo designers as well belongs to photo bundle deals. On MasterBundles you will discover a bulk of goods for photo retouching. When you need Lightroom presets, photo overlays, PS actions, or any other tools for working with photos, you have come to the right place. In the digital era, we spend practically half of our everyday life within social media platforms such as Instagram. No matter what purpose we attempt to reach using this network, we need to be noticeable in a huge crowd among a large number of similar accounts. With high quality Instagram design templates offered by MasterBundles.com, you don’t need to devote eternity developing the outstanding appearance of your page. If you require infographics for a business presentation in different market sectors from social networking and marketing to medical care and education, the package is right what you have been looking for. With the infographics bundle you’ll find yourself saving time which is important with regards to productivity. If you feel as if you’ve lost track of time while looking for various resources and components for your design jobs, it is a high time to learn more about MasterBundles. This is a website offering the hottest instruments (fonts, icons, logos, graphics, watercolors, presentations etc.) for web designers, marketers, and developers at a reasonable cost for a limited time. Besides, you can use coupon codes and promotional codes for specific design deals. In order to not miss out on important updates about the upcoming promos, we recommend reading our blog and subscribing to the email newsletter.